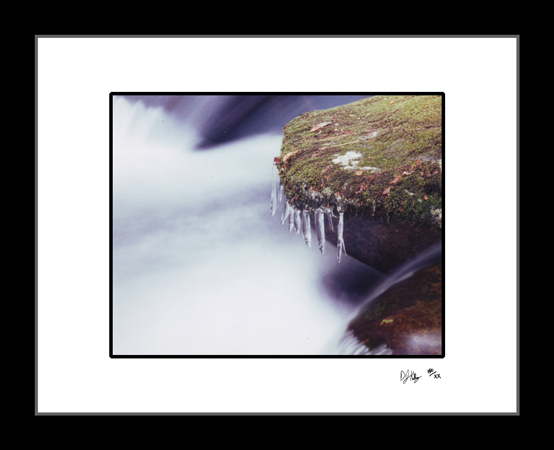 The frozen icicles hang steady amid the rushing water around them in this photograph taken during a winter hike along a stream in the Great Smoky Mountains National Park. The contrast of the stillness of the icicles and the movement and speed of the water makes one appreciate the fragile balance that occurs within nature. The dynamic landscape of a moutnain river is captured forever in this color photo.